I'm happy to be linking up with another instalment of the Secondary Smorgasbord Linky hosted by ELA Buffet and Desktop Learning Adventures. This month we're featuring products that we feel just aren't getting the love we think they deserve... so we're pulling things out of the deep freeze, thawing them out and putting them on display! I've been working on some new POETRY resources that are a little more interactive than what I've traditionally done with my students. I know that the word POETRY is likely to result in groans and whining from my students so I've created some resources to help keep them a little more engaged. 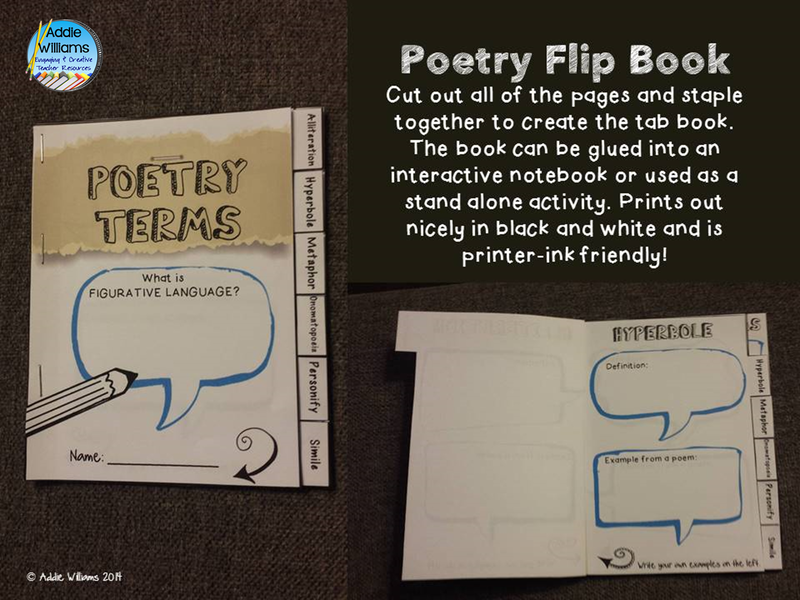 My Poetry Flip Book is a fun way for students to learn the figurative language terms often associated with a Poetry Unit. Students create a booklet that can be used on its own or as part of an interactive notebook. Click on the image below to check it out in my TpT Store. Here are two more interactive POETRY RESOURCES you can check out in my TpT Store. 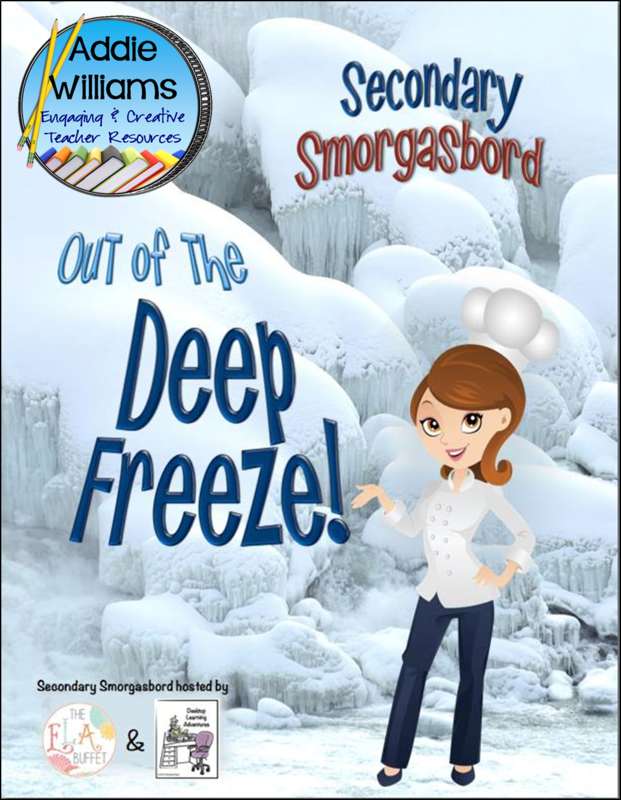 Be sure to check out the other really COOL blogs that have linked up for the Secondary Smorgasbord "Out of the Deep Freeze" Linky. I always loved writing poetry, and being able to review vocabulary with your Poetry Flip Book would have been the perfect assignment for me! I am going to try your Poetry Flip Books next week when I work with my grandson. It looks like something he will enjoy. Thanks for the great post. I love all of the task card ideas for writing poetry. Teaching the different types of poetry can be difficult and dry. Your ideas stuff those adjectives into the deep freeze because they are engaging, meaningful and creative. I sure could have used them. Review Game - Works for ANY Subject!